Ever considered being a yoga teacher? Want to make amazing, powerful changes in your life to live with passion, less stress, and better health? 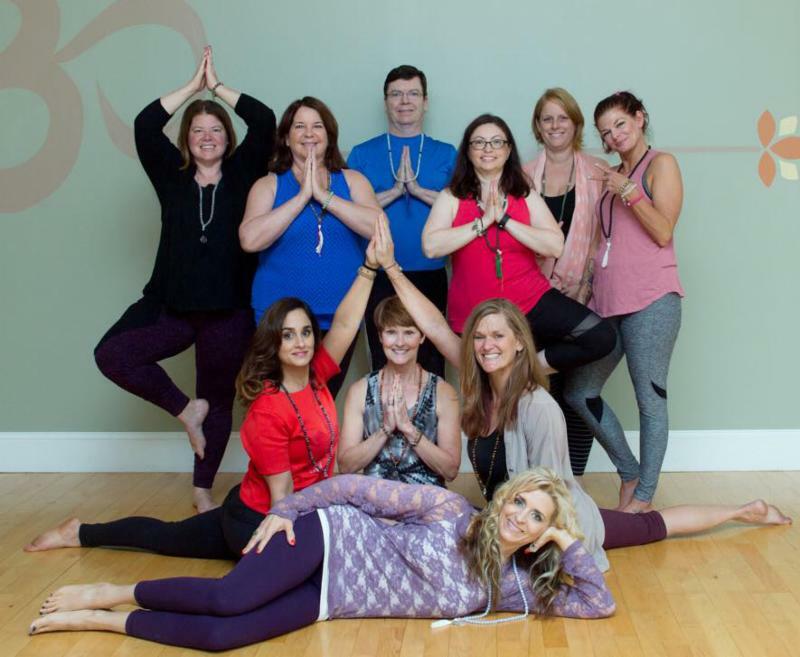 Join our 2018 YTT Class! YTT 200 hr & 300 hr programs! Engage in lively conversations with current and past students to better understand this amazing program and opportunity! 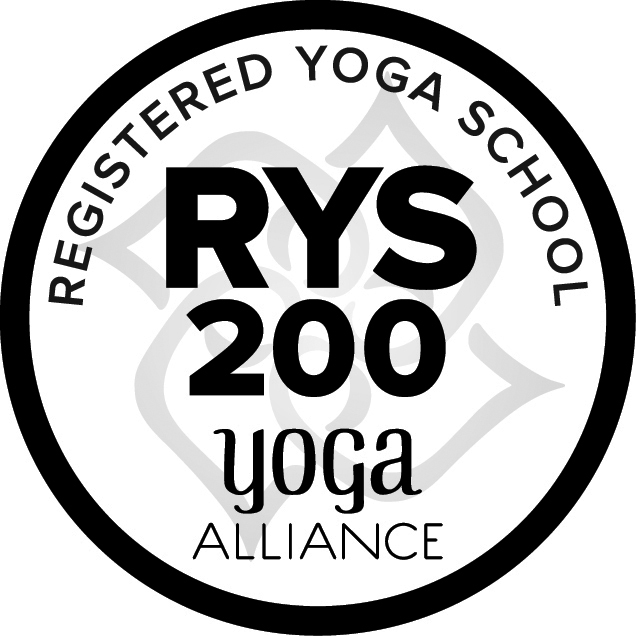 The "Essence of Yoga" teacher training is accredited with The Yoga Alliance. Graduates will receive their 200 hr YTT certification and those who already have 200 hr YTT certification will be able to participate in our brand new 300 hr YTT program! Diana Spiess has worked in the fitness and wellness industry for 26 years. She started her yoga teacher training school, Essence of Yoga, to train others to also assist anyone wanting to make their life the healthiest possible. Learn more about Diana. Delicious, healthy snacks will be provided! "I feel absolutely blessed to have had the opportunity to do my 200-hour yoga teacher training with Diana Spiess. I can’t imagine there is anyone else with as much knowledge, passion and dedication than Diana. The breadth of topics covered included philosophy, anatomy, Sanskrit, asana, assisting, business, spiritual (energy, chakras, meditation), communication, healing modalities and much more. 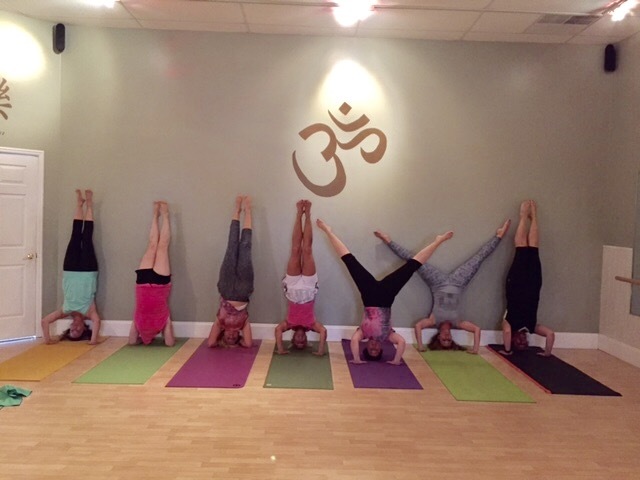 We studied Iyengar, hot yoga, vinyasa, hatha and were so thoroughly and carefully taught that it actually amazes me how much we were able to learn in 200 hours. Most importantly for me, I feel that I have the literature (lots of books!) and resources (Diana, the entire Essence team, and my classmates) I need to continue to read, learn, and grow into an experienced yoga teacher. Diana has truly taught the embodiment of what yoga is supposed to be about. As I was browsing Facebook one day Essence Mind•Body Studio randomly showed up. It immediately caught my attention. Since I am not located in the area, I immediately saw this as a sign. I reached out and found this is exactly what I was seeking and I would drive the distance to receive it. I was told this training with Diana would change my life and it has. I feel equipped in many ways to share with and teach others the 8 paths of yoga, not just postures. I want to change people’s lives just as Diana did mine. My spiritual and physical needs have been met and I am ever so grateful. Life is beautiful. It is infinite. This journey has awakened the wisdom of my soul and I feel now that I can contribute in a much better way to making the Universe lighter and happier. Namaste." 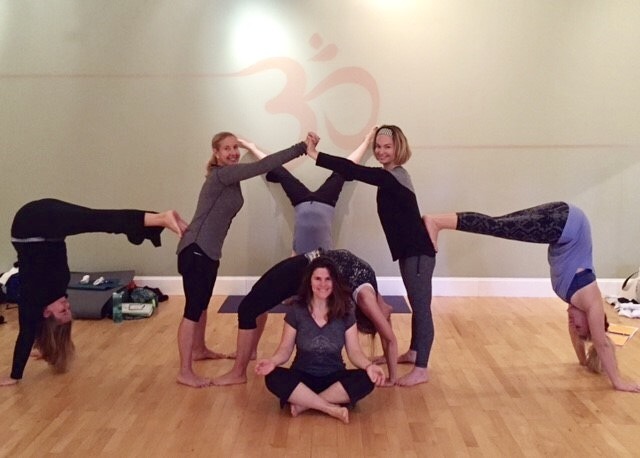 "Yoga teacher training is a huge commitment that I have enjoyed immensely. Learning under Diana has been great. Diana has so much to offer, she brings such a wide variety of skills and background to all of our courses each month. She is so knowledgable, I am proud to have her as my mentor. Being over half way through our 10 months of Yoga training, I can't imagine learning this from anyone else. The topics we cover in our training are so vast and huge but somehow Diana makes it all seem attainable and manageable. Her guidance has been amazing and something that I reply on when life gets hectic. Yoga Teacher Training has changed me and I will be sad when the training weekends are over. I know that even after the weekends are over, Diana will always be in my life and there for me when I need it." "My experience has been different then what I had expected, but I don't know that I can even put that into words.... I had looked at different YTT programs but decided I trusted Diana to lead me down this yoga path. Do I want to teach? Maybe.I did not start this journey to teach; it was just a gift to myself... the gift of an experience that I wanted to bring into my life. I'm so glad it's not over yet! I cannot imagine taking this journey any faster. I can say easily it has changed me. I am not better at poses but I am much more of a yogi then I ever thought I'd be. I see change. I feel change. There has been a shift in my mind and my body and my spirit. I feel more confidence. I feel more open. I feel more connected with the people in my life. Actually, even strangers. There's an understanding that I feel and I've just barely touched the surface of it, but has already changed the way I perceive the world I live in. Like I said before I am so glad this journey takes months. I am glad it is not over yet!" "I highly recommend the 200 hour YTT training through Essence. As a current member of the YTT training class, I feel Diana has provided a very broad base of knowledge for us to build our new yoga careers on. We have focused on so many aspects of yoga including anatomy, meditation, healthy eating, as well as the asanas. Through this training you will explore ways yoga can enhance your everyday living and deepen any religious practice you may currently participate in. I feel as though I am taking away so much more than I expected when I first signed up for training. It is an opportunity I encourage everyone to experience." Sign up online or call the studio if you'll be joining us, 419-873-6463!